Alan Bleiweiss is an SEO professional in the San Diego area who specializes in auditing client websites in order to help them address issues that hamper their performance in organic search. He's gotten so adept at his process that he generates a fairly significant income for himself and his part-time assistant. Alan's process for relating to his customers is simple, yet very effective. He does great work, he takes care of his clients, he gives value beyond what was promised. Even when he has to fire a client, he works hard to refer them to someone else who can help. Alan mentions that he shares a lot in online groups, forums and through speaking at conferences. I can personally attest to his generous sharing from interacting with him both online and off. Few are the people who would pack up their household and move in order to help a friend over the course of several months; but, Alan is the kind of person who would do it. I know many generous people, but precious few can even come close to the things this man does for individuals and the digital marketing community. Thankfulness is closely related to generosity. Alan often points out people he is grateful to in public forums. He has also put in a great deal of effort in sharing his gratitude with groups both large and small. He has gone through great pains to bring people together in the spirit of community and cooperation. That gratitude also spills into his client work. By now, some of you may be thinking those "soft skills" don't matter much in the realm of "real business." I disagree. Beyond technical knowledge, beyond mere competence, beyond business savvy, the things that differentiate businesses are those soft skills. Success is more than just the bottom line, it also consists of those intangibles that bring more value to each interaction beyond just a transaction. 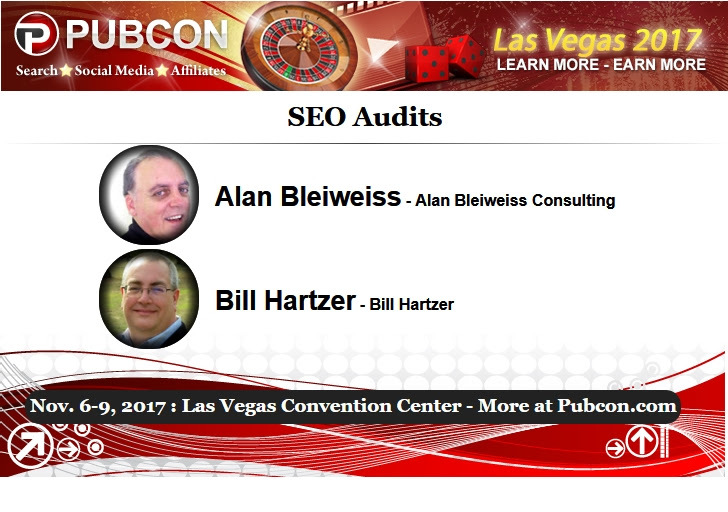 Alan will be sharing some of his audit knowledge at Pubcon Vegas 2017 in November. He will be sharing the stage with Bill Hartzer on Tuesday, November 7th at 10:10am. 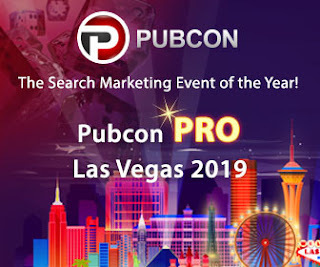 If you're interesting in attending Pubcon, register today and use coupon code rc-3856015 to save 15% (good until October 20, 2017).